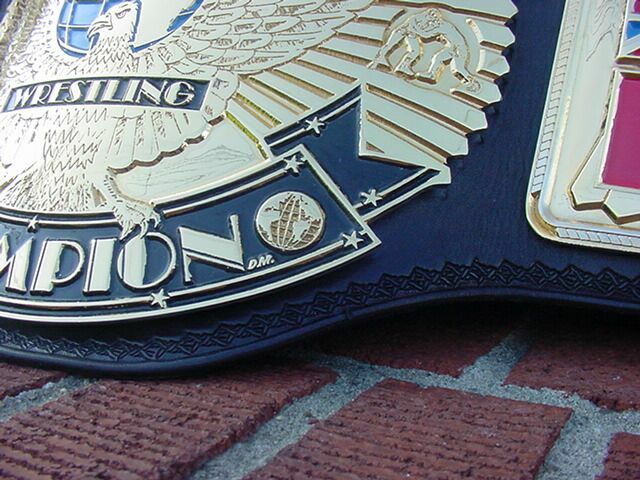 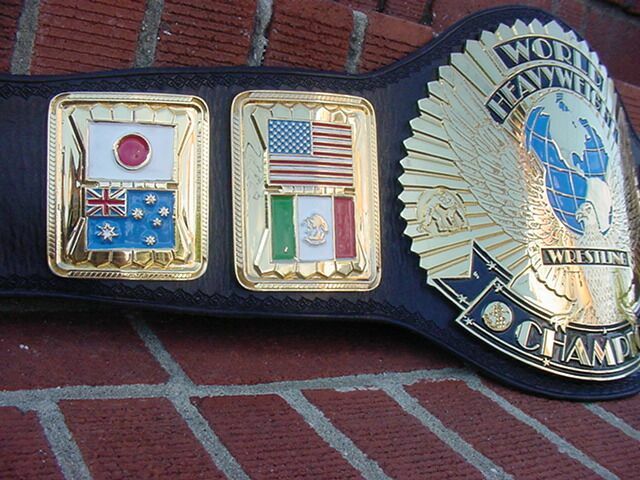 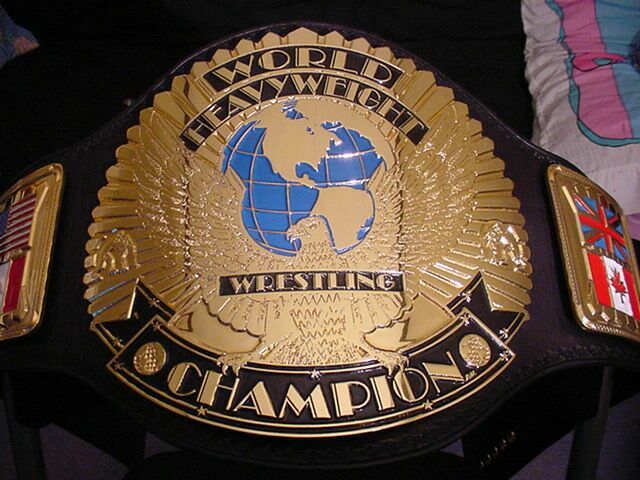 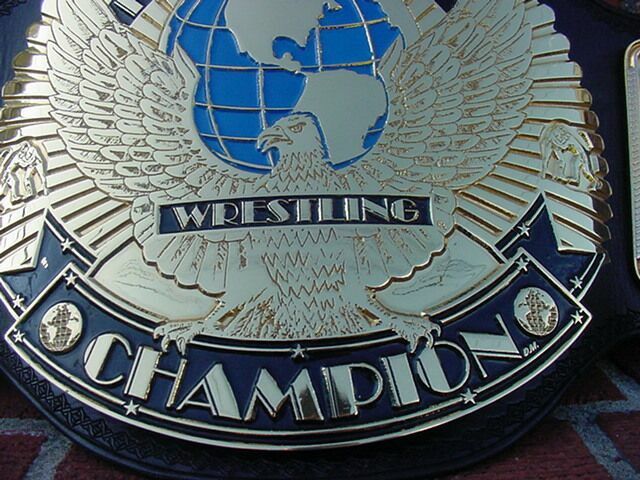 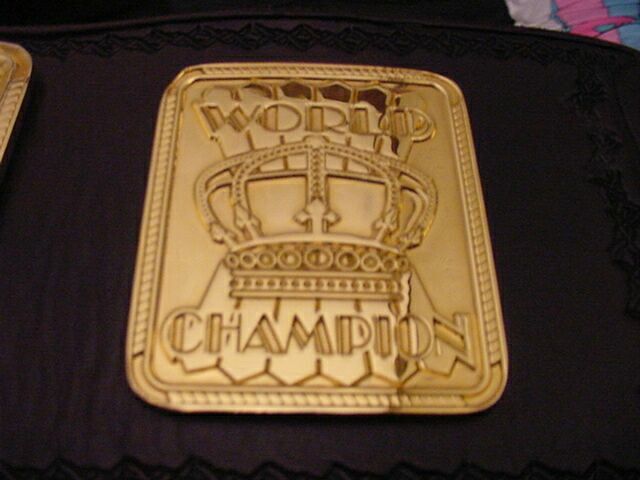 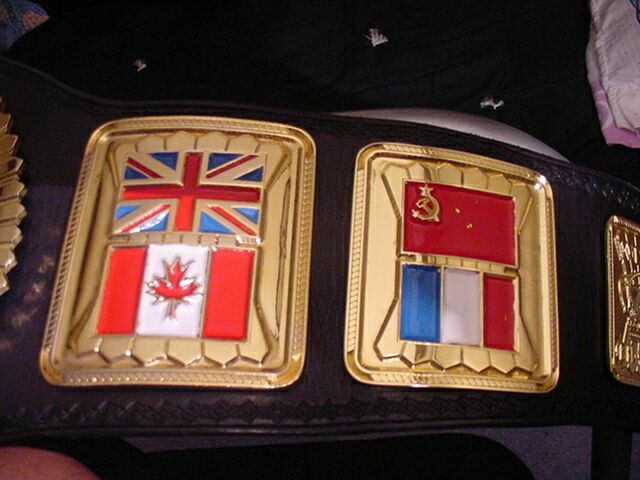 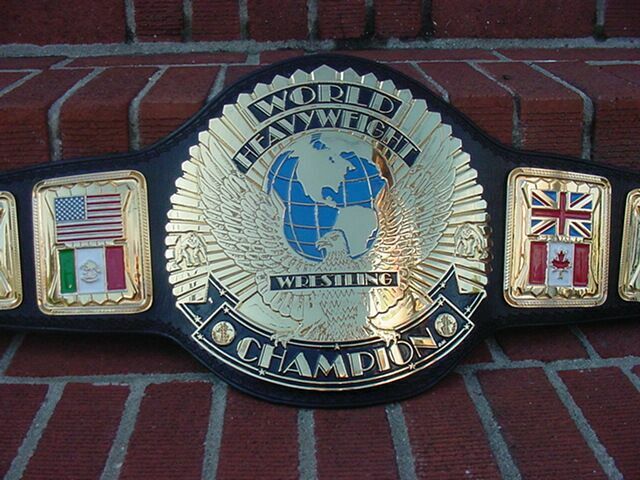 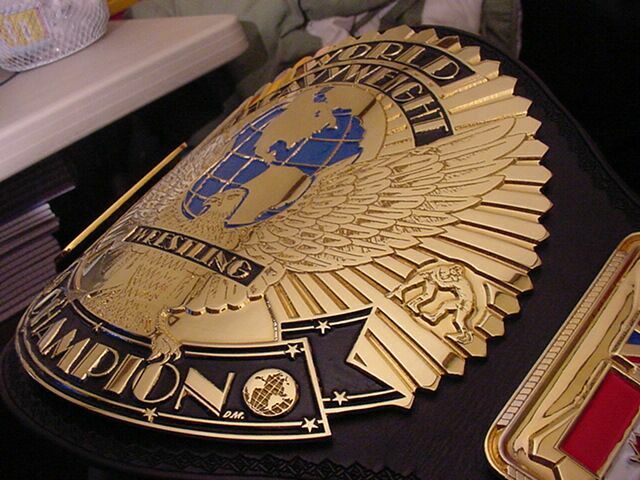 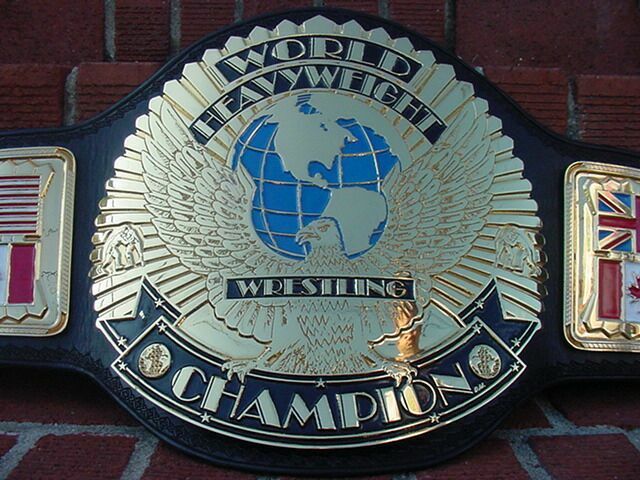 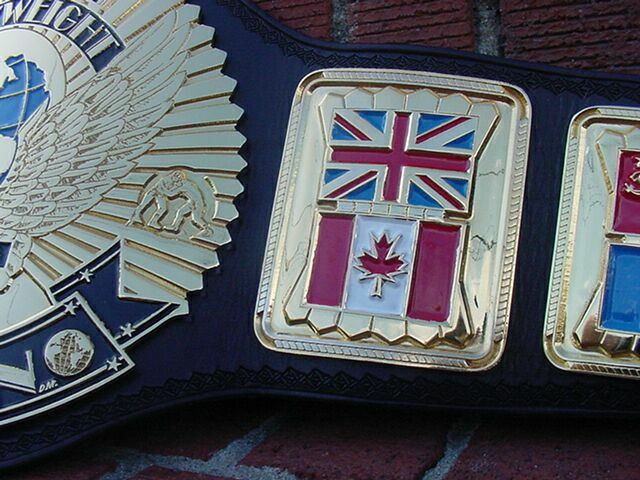 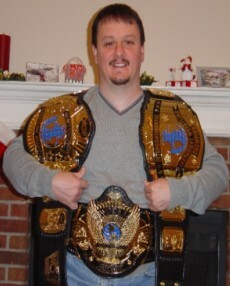 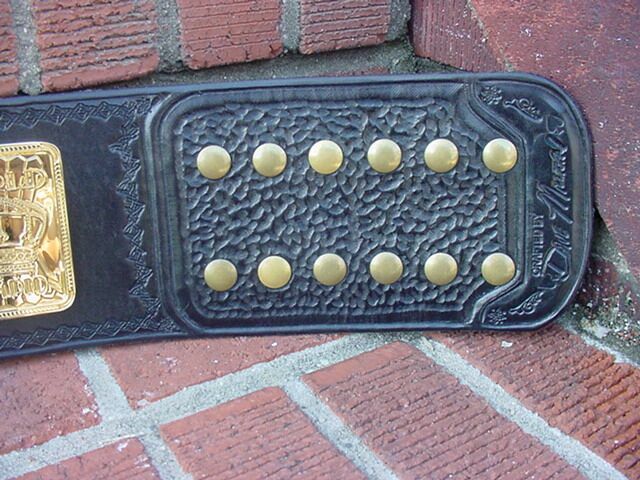 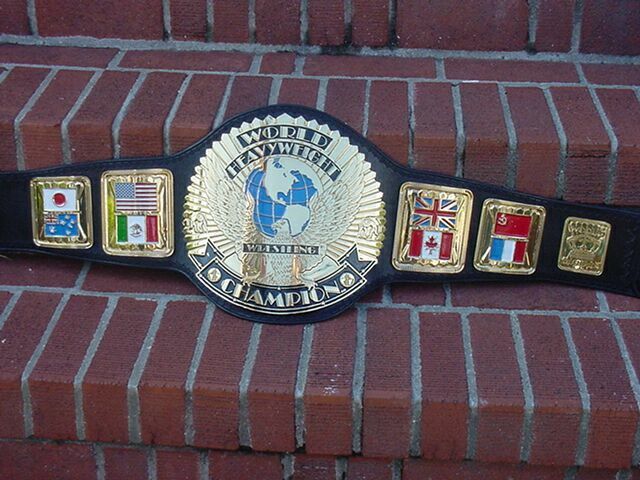 Here are pictures of a Custom World title known as the Russ World Title. 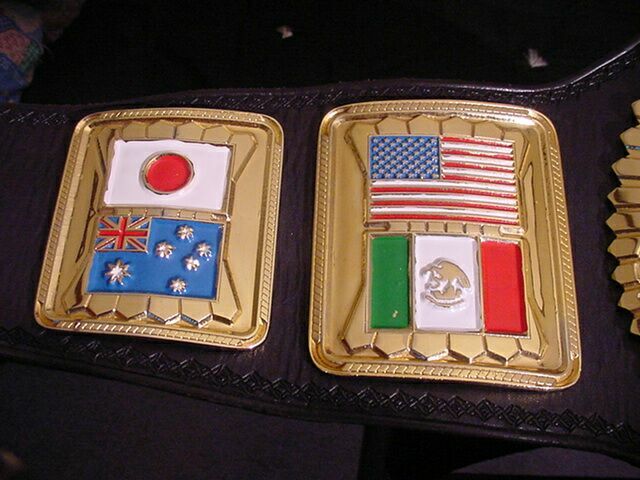 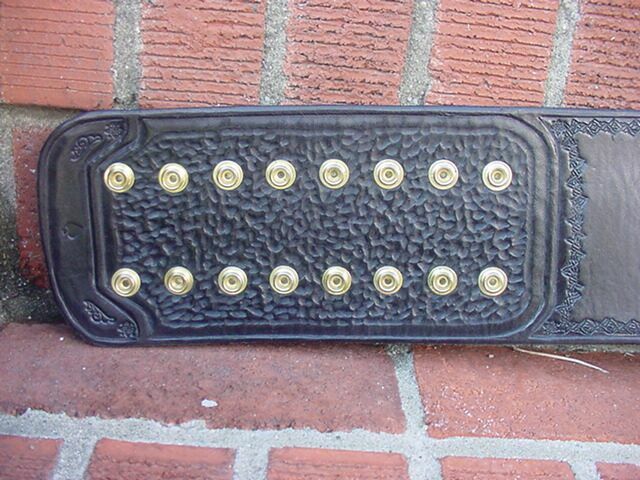 This belt was designed by Russ Miller. 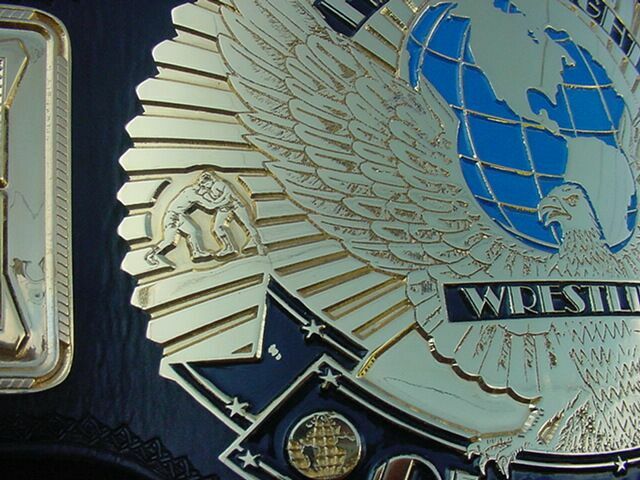 There are designs from the many major titles in this one here. 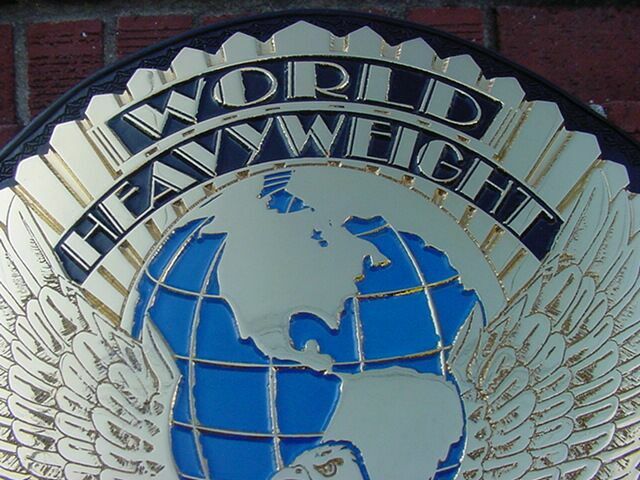 It's a oversized 5 plater with custom logo plate and the main plate alone measures in 13 inches in height.